Theunis Botha, 51, ran a professional hunting safari service that takes rich clients into the wilderness to kill large animals. According to the company’s website, it specializes in hunting leopards and lions with trained hounds. Three elephant cows stormed the hunters and Botha shot at them. A fourth cow stormed them from the side and one of the hunters shot her after she’d lifted Botha with her trunk. The shot was fatal and as the cow collapsed, she fell on Botha. Though Botha specializes in leopards and lions, a wide variety of dead animals can be seen next to smiling rich men in memento photos on the company’s website. Several show Botha standing beside enormous trophy elephants. Elephants are highly intelligent creatures who, in general terms, have no natural predators. Humans tend to be the only real threat to the elephant species. 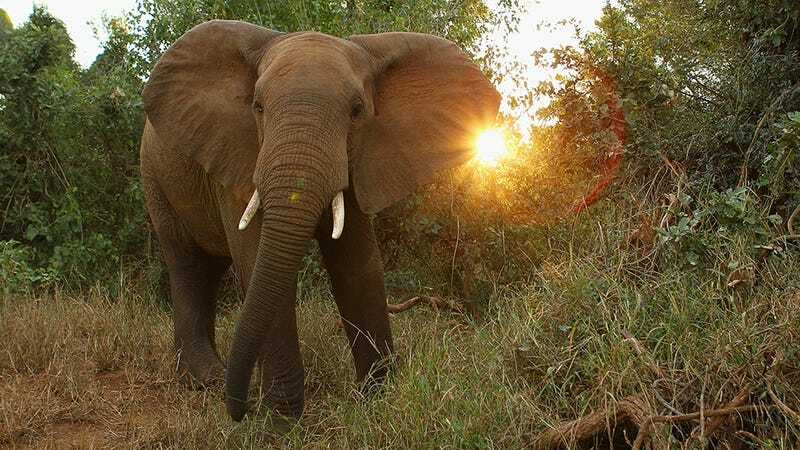 And as the number of humans on Earth has exploded over the last century, the population of elephants in Africa has dwindled from an estimated 3-5 million to around 415,000. A study published in February showed that between 2004 and 2014, around 25,000 elephants were poached for their ivory just in Minkébé National Park.